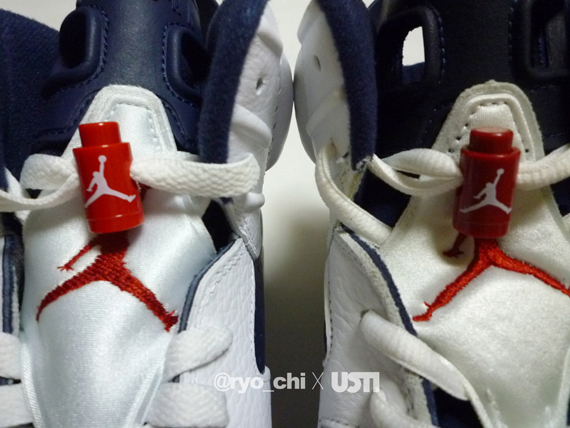 By a show of hands (or comments, or thumbs ups): Who copped the Air Jordan VI ‘Olympic’? 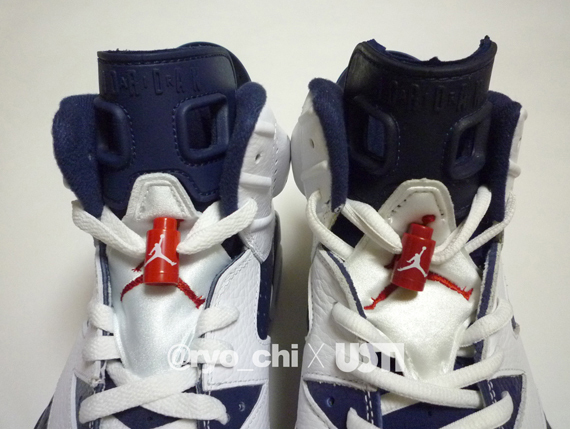 This weekend’s Air Jordan Retro release was deemed by some as the most anticipated of the year, even after a number of Air Jordans were confirmed throughout the course of the year. 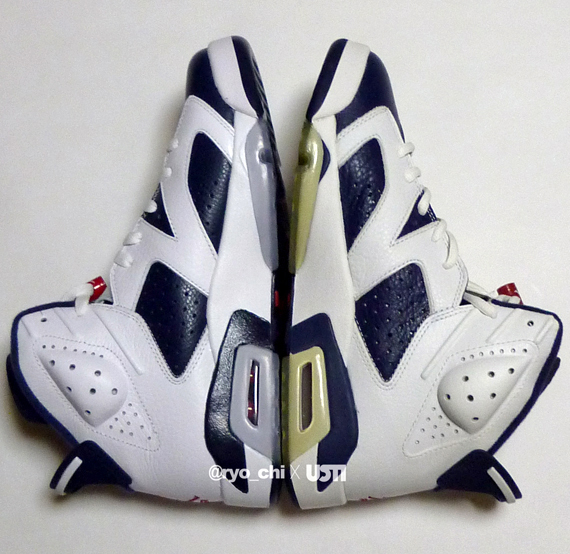 In light of the release of the Olympics, we have a quick comparison of both the 2012 Retro and the 2000 ‘original’ (by original, we mean the first time these dropped, although these are not an OG colorway). 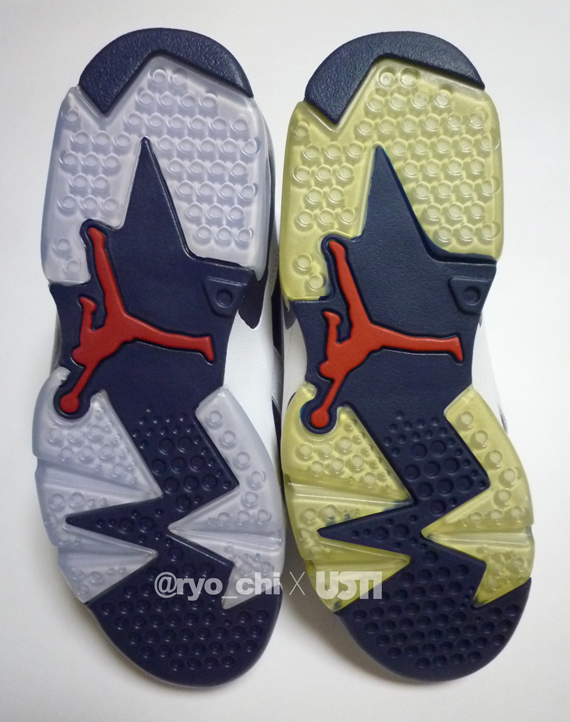 The primary difference is the color-blocking on the midsole, but here we see that on the medial side, all is the same! 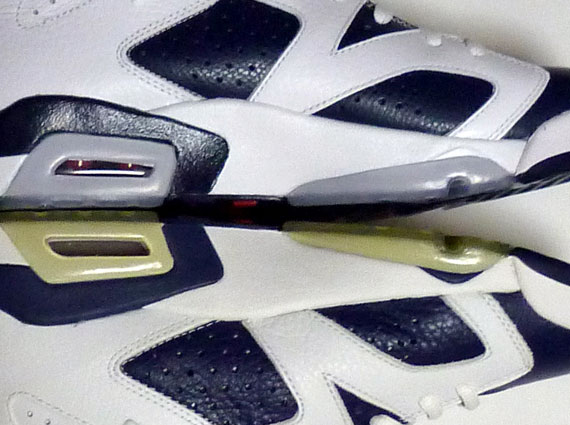 Check out the quick angles below, and let us know if you have both the 2000 and 2012 versions of this all-time classic.